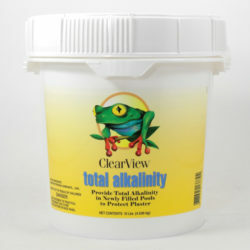 89% Available Chlorine These tablets are manufactured with the most concentrated form of dry chlorine available today. They are slow dissolving to allow you to reliably dose your pool once a week. Tables contain cyanuric acid- a stabilizer that prevents ultraviolet light from removing the available chlorine from the pool. Our Premium Tablets allow you to easily maintain proper chlorine residuals and help you to effortlessly produce beautiful, clean sparkling water. 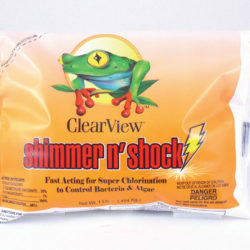 For use in chlorinators and automatic feeders. Do not handle chlorine products with bare hands. Use gloves or thoroughly clean, dry utensils. Daily: Adjust the chlorine dispensing rate of the floater or inline feeder to provide 2.0-4.0 ppm of free chlorine residual as determined by a reliable test kit. The initial startup and weekly maintenance dosage is one to three tablets per 10,000 gallons although this dosage may vary due to unusual conditions such as heavy bather loads, wind, heavy rains, and high temperatures; therefore, frequent use of a reliable test kit is recommended. 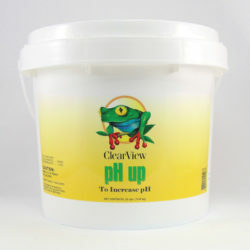 Use the test kit as a guide to maintain the pH at 7.4-7.6 and total alklalinity at 80-130 ppm. 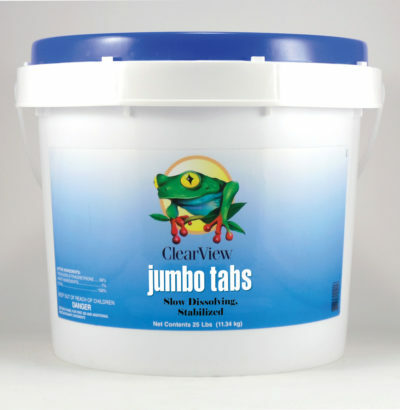 Pool chlorinating tablets are intended for use in a floater or in-line feeder only. Do not add these tablets directly to the pool or mix with any other chemicals. Re-entry into treated swimming pools is prohibited above levels of 3 ppm of chlorine.